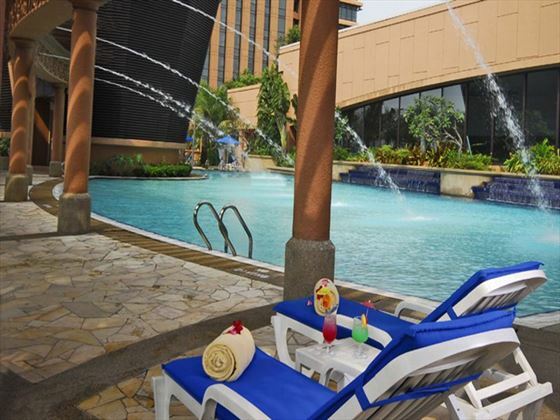 The resort is located in the heart of the city of Kuala Lumpur, making it easy to access to top attractions during your stay. 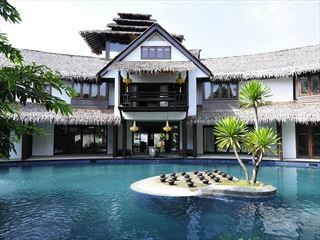 The resort provides 650 rooms and suites. 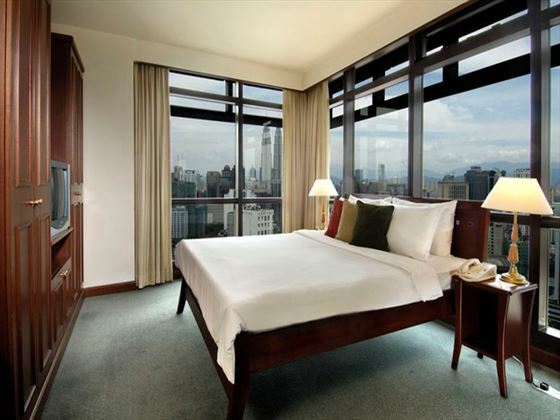 Studio – Modern and spacious, this room features a separate shower and bath, and contemporary décor. 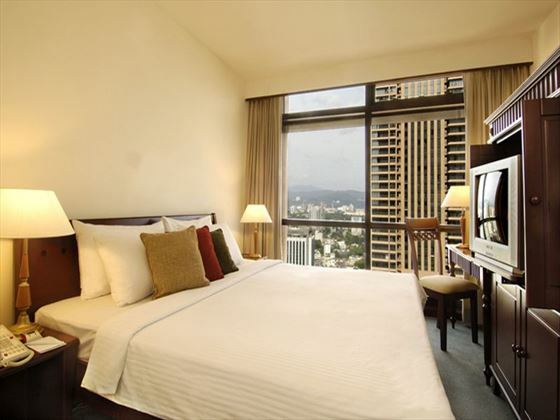 Premier Studio – Spacious and ideal for city breaks, this room features upgraded amenities. 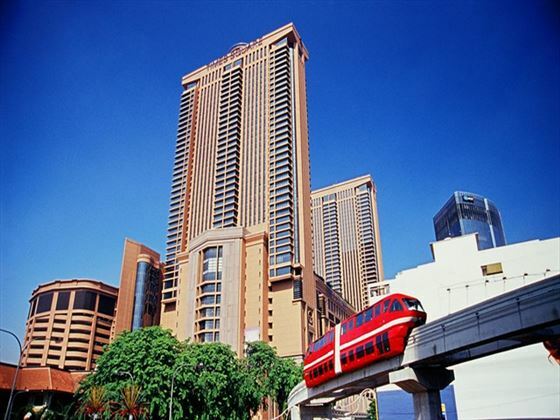 Superior – Features a spacious room with living area which overlooks the city for amazing vistas. Premier Superior – Both comfortable and luxurious, the Premier Superior rooms are spacious and feature the above amenities. Two-bedroom Deluxe – Sophisticated and contemporary, this two-bedroom suite includes a separate living area. Two-bedroom Suite – This suite features fantastic views of the city and a living area to help you feel as comfortable as possible during your stay. 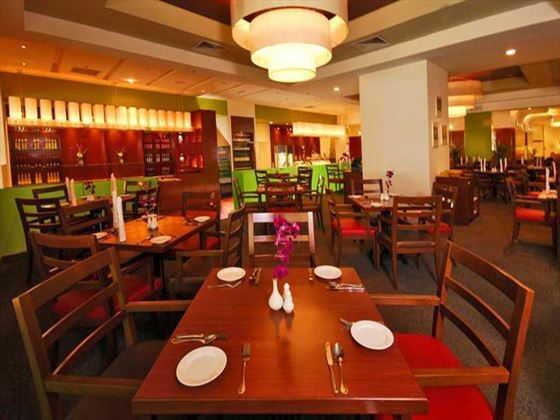 Big Apple Restaurant – An all-day dining outlet serving a tasty menu of local dishes and international cuisines. Samplings on the Fourteenth Restaurant – Fine dining is paired with delicious vintage wines, while you enjoy the views of the city skyline at night. Broadway Lounge – A relaxed yet stylish venue serving light snacks, cocktails and refreshing beverages, as well as live entertainment. 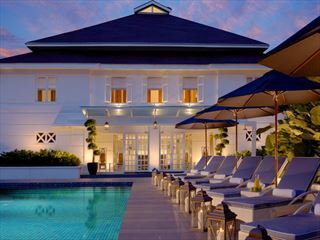 Poolside Gazebo – A poolside bar offering drinks and light snacks. The resort features a kid’s playground to keep younger guests entertained, as well as spacious rooms to accommodate to families.